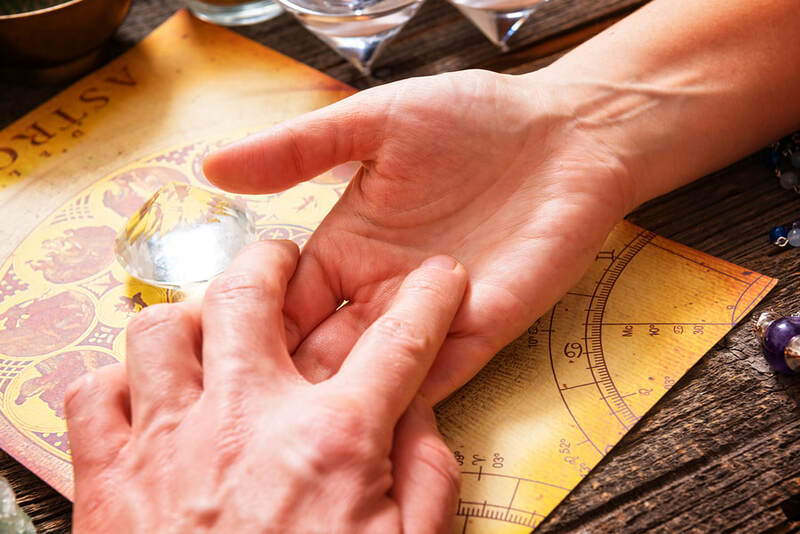 The hand itself can be looked at in four distinct ways - the “Elemental Hand”. The hand might be a Earth Hand, a Water Hand, a Fire Hand, or an Air Hand, or a combination of these elements. As you can imagine, you would attribute the elemental qualities to the characteristics of the individual. Then you would actually touch the hand and see if it is rough, cold, warm; is it a large or small hand? etc. Then you would take a look at the palm area of the hand. Is the palm thick or thin, firm or soft, empty or full? Then you observe the fingers themselves. 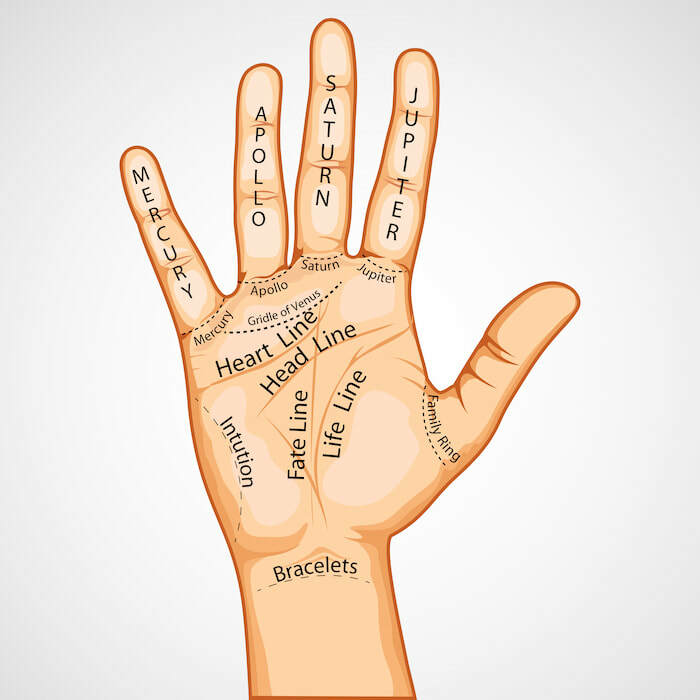 Each finger represents a planet (except the thumb); starting with the index finger, which is Jupiter, followed by Saturn, Sun, and the smallest finger is Mercury. You look at the length, thickness, temperature, and space between the fingers; not to mention their flexibility. ​You can also learn so much from analyzing the thumb. There are actual Hasta “readers” in India that will do a full reading solely based on an individual’s thumb. Can you imagine that? Each area of the palm also represents a planet. For instance the lower area of the palm represents the Moon. The Moon can represent the manas in Sanskrit, which includes all things related to the mind; for instance, topics such as, the individual’s imagination, instincts or moods. The Moon may also represent travels. The shape of the nails also mean something. Are the person’s nails rounded, square, pointed, wide, long, narrow, etc. The fingerprints have either loops, whorls, or arches. What are the vast majority of the fingerprints; are they loops, or a combination of other patterns? This all has a particular meaning. Then we progress to look at the Life Line, the Fate Line, the Head Line, the Heart Line, the Sun Line, and the Mercury Line. Lastly, you check for any loops, whorls, or any other miscellaneous markings on the actual palm which also tell a story.